Choruses of bird songs, gentle breezes murmuring through bare branches, and the distant sounds of spring peepers are among my favorite sounds of the season of rebirth. Just as evocative but barely louder than a whisper, is the sound of seeds rattling in a paper packet. 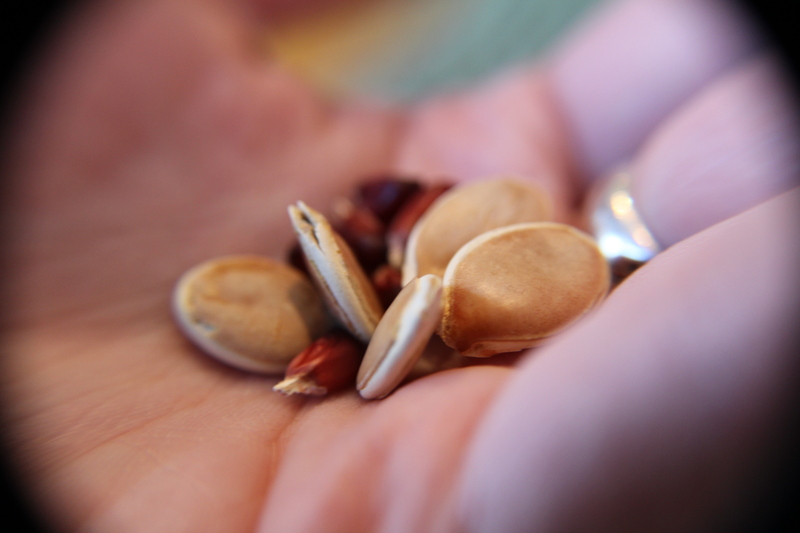 Seeds mean seedlings and this conjures visions of sun on the back, warm brown earth and dirt under the fingernails. After gardening for more for than a half century, the simple act of putting seeds in the soil and watching shoots emerge still excites me more than any other part of this always new business of working with plants. Some people may yawn. Yet planting seeds unleashes the power of life in a humble row of turnips. The infinitely complex process of life unfolds as the sun warms the soil. Seeds, seemingly dead things, open with delicate roots and tiny leaves. Eventually an eggplant or an oak tree arises. The astounding transformation is exceedingly commonplace — like the sun coming up — but it amazes me each time I see seedlings or the sun appear.